Kassam rocket fired from Gaza at southern Israel, lands in an open area in the Eshkol Regional Council. Despite an Egyptian-brokered ‘ceasefire’ announced earlier this week, terrorists continued to fire rockets at Israeli territory on Friday. 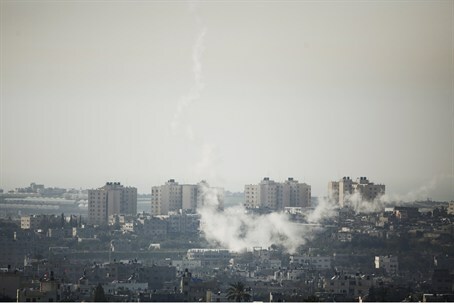 The terrorists took advantage of winter-like weather conditions in the area to cover up the fact that they were firing a rocket, according to a report on Channel 2 News. The latest terror onslaught from Gaza began last Friday. Terrorists fired more than 200 rockets at Israeli cities in four days.